The shift of the Items into the uppermost stage equates to an assignment by the Product Owner for the Team to implement these Items. 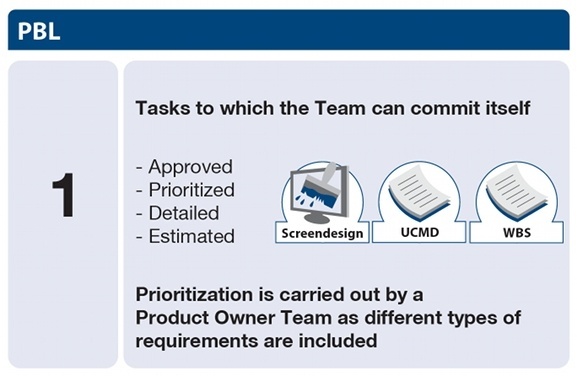 Before Items are shifted into Stage 1, the Product Owner checks them for completeness. Only Items which have been described in detail and estimated, find their way into this stage. This means that a Quality Gate exists between Stage 2 and Stage 1. Each entry must go through this check to reach Stage 1. Each entry in this stage is simultaneously considered as released by the Product Owner Team. The first stage is the collection of assignments for the Team. The Team can remove Items for the next Sprint here. Only Items which the Product Owner still considers to be relevant at the appropriate time reach this stage. The uppermost Items have the highest priority. Diagram 30 shows the features of Stage 1. The goal before a Planning Meeting is to have the entries of the Product Backlog described so well that they do not change during a Sprint. In the Planning Meeting, the Team must agree on the implementation of the Items in the next Sprint. It is only possible to do this if the entries in this meeting can be understood. The prioritization of the entries is always made by the Product Owner Team ahead of the next Planning Meeting. 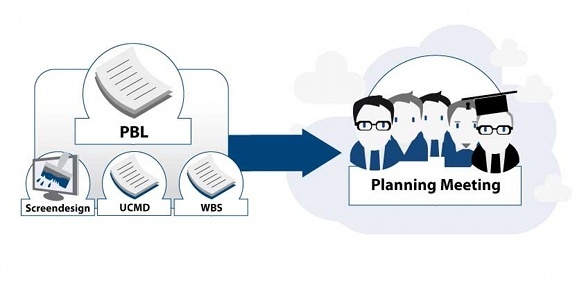 Diagram 31 describes the structure of requirements that are scheduled in a Planning Meeting. The tasks are sufficiently detailed and in recent Sprints, the Team has already familiarized itself with the details of the Tasks. The Team can now come to an understanding of the implementation of extensive Tasks in the Planning Meeting.